Many recent creationists are of the opinion that the Flood’s duration was 371 days. This belief is in agreement with and probably has been influenced by Whitcomb and Morris (1961, p. 3). However, Whitcomb and Morris did not produce the calculation for this, but merely reproduced a table that they referenced from Kevan (1953, pp. 84–85). Interestingly, Kevan did not endorse this figure as the length of the Flood. Rather, he preceded his table with the statement that the Flood chronology may be constructed this way, but he followed the table with the remark that this result assumes a 30-day month. He further noted that the synodic month1 actually is 29.5 days, and from this Kevan concluded that the Flood’s duration was 365 days. Hence, Kevan actually endorsed the theory that the Flood lasted exactly one year. The manner in which Kevan presented his table suggests that the idea of the 371-day Flood duration preceded him in the literature, but if it does, he failed to reference it. The Flood lasted one year and 11 days or 371 days based upon a 360-day year (12 months × 30 days/month). But how well-founded is the 30-day month and a 360-day year in ancient calendars? Several authors have approached this question recently. Boyd and Snelling (2014, pp. 6–7) briefly discussed several possible calendars that may have been in use in Noah’s time, without reaching any firm conclusion. Similarly, Boyd et al. (2014, pp. 52–54) also discussed various possible calendar choices.2 Anderson (2014, pp. 194–195) noted five fixed dates in the Flood narrative, but also commented that the exact duration of time depended upon which calendar was in use. Longacre (2014, pp. 233–234, 269–270) pointed out that 4Q252, a Qumran commentary on Genesis, apparently endorsed a 364-day calendar. However, these authors were not as concerned with the exact duration of the Flood as they were in establishing the relative chronology of the Flood for the purpose of using subtle clues in the biblical text in developing a geological Flood model. Recently Faulkner (2012) criticized the belief that prior to the Flood the year consisted of exactly 360 days divided into 12 months that were exactly 30 days long. Nearly everyone who believes in this alleged pre-Flood calendar also subscribes to the 371-day length of the Flood, but the converse is not necessarily true. Here I must repeat some things from my earlier paper, and the reader is referred to that paper for some of the details. I will show here that there is a good case to be made for the Flood lasting one year (365 days) as Kevan did. One of the God-ordained purposes of the sun, moon, and stars is the measurement of time, because Genesis 1:14 includes “for seasons, for days, and for years.” The days and years appear clear enough, but what is meant by seasons? Most people today think of the word seasons in terms of our climatic seasons, such as spring, summer, autumn, and winter, but the Hebrew word used here ( מוֹעֵד ) is the same word used for Hebrew festivals, such as Passover, Pentecost, and Tabernacles. These festivals lasted several days. Even today we use the word season to refer to certain periods of time that do not have a direct relationship to climatic seasons. For instance, we speak of baseball season or deer hunting season. It is true that baseball generally coincides with spring, summer, and early autumn, and deer hunting season generally is in autumn, but we understand that these seasons relate to the period of time in which those activities are done, not necessarily to certain weather. Old Testament law in Exodus, Leviticus, and Deuteronomy proscribed the months in which the Hebrew festivals were to be held, so we can conclude that, along with days and years, months must be included in the time reckoning purposes of the heavenly bodies. The sun’s apparent motion across the sky due to the earth’s rotation is the basis for the most obvious natural unit of time, the day. Human, animal, and plant cycles are tuned rhythmically to the daily light/dark cycle, making this unit of time very important. More subtle, but still important, is our revolution around the sun, which defines the other significant natural unit of time, the year. This motion is most noticeable when reckoned against the stars as a backdrop, something that is not necessary for delineating the day. Perhaps the primary purpose of a calendar originally was to inform farmers of when to plant crops. This function makes the year the most important aspect of calendars. Hence, a good calendar must adequately indicate the time of year. In our society, few people are tied to agriculture, so it is difficult for many people today to grasp the importance of knowing the time of year. In temperate climates, how do farmers know when it is time to plant in the spring? They cannot go by temperature, for warm spells in late winter are common, and cool spells well into spring happen too. Experience and a good calendar have enabled farmers to know when the time is right to plant. Even in non-temperate climates, such as in Egypt, knowledge of the proper time to plant is important. I shall return to a discussion of ancient Egypt in this regard shortly. Since there are so many days in a year, there is need of a unit of time that is intermediate between the day and the year. The cycle of the moon’s phases offers a good intermediate time interval. Indeed, our Anglo-Saxon word for the month derives from a word for the moon. The synodic period of the moon (the time interval for the moon to go through all its phases once) averages a little more than 29.5 days. However, because of peculiarities of the moon’s orbit, a particular synodic period can be as short as 29.2 days or be as long as 29.9 days. This is of no real consequence as things average out over the year. In a similar manner, the solar day rarely is exactly 24 hours, but rather is several seconds longer or shorter than 24 hours, but over the course of a year the day averages exactly 24 hours in length. In addition to the day and year, we also use the week as a division of time, though it has no astronomical basis as the two natural units of time do. However, the week is the one God-ordained unit of time, in that He chose to create the world in six normal days and rested on the seventh day ( Exodus 20:11 ). In constructing a calendar, there is an immediate problem: the year is not easily divisible by either the day or the month. Nor is the month a multiple of the day. One must develop a method for handling this difficulty, and there is no universally satisfactory way to do this. The fact that many different schemes have been used throughout history is evidence of that. The solutions fall into three categories: lunar calendars, lunisolar calendars, and solar calendars. Since the synodic month is so close to 29.5 days in length, the most obvious solution is to have months of alternating 29-day and 30-day durations. Since the synodic month is slightly longer than 29.5 days, after about three years this reckoning of months will be one day off from lunar phases. The solution to that difficulty is to add an extra day to a month about every three years. This normally was done to a month that had 29 days, so it resulted in three 30-day months in a row. The earliest calendars were almost certainly observationally based, that is, the lengths of the months were determined by directly observing lunar phases. Poor weather would interfere with observations of the moon from time to time, so such a system will not have methodically alternating 29-day and 30-day months, but over the long-term there would be no real difference between an observationally based lunar calendar and one that has alternating month lengths. With some record keeping, it is possible to anticipate when lunar phases would repeat, even when inclement weather prevented direct observation of the moon’s phases. This makes it possible to develop an algorithm for predicting lunar phases, and hence calendars could be prepared in advance. Twelve months on this calendar results in 354 days (355 days if the extra day required approximately every three is inserted). While this is an approximation to the year’s length, about two-thirds of the time it is 11 days short of the year’s true length and 10 days short one-third of the time. This calendar might be sufficient for approximating the length of the year for a year or two, but it fails much beyond that time, so it would be inadequate for agricultural purposes, as already mentioned. A calendar developed in this manner with little regard to the true length of the year is a lunar calendar. Such a calendar is of limited use, and the only lunar calendar in use today is the Islamic calendar. On a lunar calendar, the months, such as the Islamic holy month of Ramadan, slide progressively earlier in the year over a 32-year cycle. To avoid this problem, most ancient societies developed a lunisolar calendar. After 36 months (nearly three years) the accumulated discrepancy between a lunar calendar and the year is slightly more than a month. Hence, a lunar calendar can be brought back into near conformity with the year by adding an extra, or intercalary, month approximately every third year (usually at the end of the year). However, the addition of an intercalary month every third year still is an undercorrection. Originally, the decision of when to add an intercalary month was made by observation of current conditions, such as inspection of how well crops had matured, but eventually most societies either discovered or imported the Metonic cycle. The Metonic cycle is named for the fifth century BC astronomer Meton of Athens, though others before him had discovered the cycle. The Metonic cycle is found by noting that 235 (12 × 19 + 7) synodic months is almost exactly equal to 19 years. Hence a near perfect match between a lunar calendar and the year’s true length can be achieved by adding an intercalary month seven times in a nineteen-year cycle. The Metonic cycle dictates that intercalary months are inserted in years 3, 5, 8, 11, 14, 17, and 19 of a nineteen-year cycle. This method remains the best way to maintain a lunisolar calendar, a calendar that maintains fidelity to the month but at the same time matches the actual length of the year. Some ancient civilizations eventually abandoned an astronomically determined month in favor of months of fixed duration in an attempt to develop a calendar primarily based on the length of the year. We call this a solar calendar, and one of the first civilizations to do this that we know of was the ancient Egyptians. Their calendar originally was lunar, but they eventually adopted a year of twelve 30-day months, followed by a five day intercalary period. There are several aspects of this calendar worthy of note. First, with months longer than the synodic month, lunar phases were no longer fixed to particular dates but now gradually occurred earlier in each successive month. Second, the extra five days were added to the end of the year during what had been the time in which intercalary months were inserted. The difference was that a shorter intercalary period was inserted every year rather than inserting a longer period approximately every third year. Third, by defining the year to be exactly 365 days long, this calendar was nearly a quarter day short of the true length of the year. This caused the calendar to slip progressively earlier each year, though the slippage was so gradual that it was not readily noticeable within the lifetimes of most people. It took nearly 1500 years for this calendar to complete one regressive circuit through an entire year. Being an agrarian society, how did ancient Egypt plan its yearly planting? They had a method unique to Egypt that did not rely upon a traditional calendar. In ancient Egypt, grain planting was best done shortly after the annual flooding of the Nile River that deposited new top soil and nutrients in the fields. This occurred at the height of summer, and the ancient Egyptians soon learned that the Nile flooding shortly followed the heliacal3 rising of the star Sirius in the early morning. Sirius, the brightest appearing star, is visible in the evening sky during winter, but it disappears behind the sun in spring, and then it reemerges from behind the sun in the morning sky during the summer. By watching for the first appearance of Sirius as it rose before the sun in the morning sky, the ancient Egyptians learned that the flooding of the Nile was nigh and it was time to prepare for their planting of grains. By the way, Sirius is nicknamed the Dog Star, because it is in the constellation Canis Major, or the Big Dog. Thus the time of the heliacal rising of Sirius became known as dog days. Having a good method for determining the time to plant that did not rely upon a particular calendar freed the ancient Egyptians to pursue a calendar that was less based upon astronomical realities. Most other cultures did not have this advantage and hence continued with a lunisolar calendar. The experience of the ancient Romans was quite different. They probably quickly moved from a lunar calendar to a lunisolar calendar. The decision of when to add intercalary months often was left to politicians. This led to some very short and very long years as some powerful officeholders altered the lengths of years to assist their political allies and punish their adversaries, because tenure of political offices normally were defined in years. In the first century BC, things became particularly hectic, with different regions of the empire sometimes observing different years. Julius Caesar brought order to this chaos by introducing his Julian calendar reform in 46 BC. The Julian calendar dispensed with intercalary months by making the year 365 days long. This was done by interspersing an extra 10 days over the 12 Roman months as they then existed. This is how we came to observe months that are 30 and 31 days long rather than 29 and 30. Knowledge of the Egyptian calendar that had scrapped the lunar month perhaps influenced the Romans in this decision. Aware that the length of the tropical year actually was closer to 365.25 days, the Julian calendar also featured a leap day introduced every fourth year. Since March was the first month and February was the last month on the Roman calendar, the leap day was appended to February, which had been where an intercalary month had been inserted. This is the basis of our calendar today, though it was reformed in 1582 by Pope Gregory XIII (hence the Gregorian calendar) on account that the tropical year is slightly shorter than 365.25 days. What kind of calendar was used in the Old Testament? We do not know, because the Old Testament does not instruct us. This is not unusual, because most ancient sources did not explain the calendar in use at the time but merely assumed that the reader understood. The Hebrew calendar in use today is a lunisolar one. As with most other ancient calendars, the months begin with the new moon. The new moon is not visible for 2–3 days around new moon, so on the Hebrew calendar the new moon is defined by its first visibility of a thin crescent in the evening sky immediately after sunset. With a little record keeping, one can anticipate when first visibility of the thin crescent might be. Since the Hebrews reckon the start of a day from sundown, one quickly can determine observationally whether the day that just began is the last day of the previous month or the first day of the next month. People sometimes note that the ancient Hebrews assumed that the month was 30 days long, unless the crescent moon was visible and erroneously conclude that the Hebrew month normally was 30 days long. However, this is a misunderstanding of the rule. This rule allows for the month to be 30 days long as the default when the moon is not visible, but the moon will be visible about half the time, weather permitting. With more record keeping, one can develop an algorithm for determining when the thin crescent moon would be visible and hence could accurately predict when months begin even when the sky is cloudy or one could compute months in the past or future. This will result in months generally alternating between 29 and 30 days with an occasional second 30-day month inserted. Intercalary months were inserted as needed, but eventually the Hebrews adopted the Metonic cycle for this. Some attribute the adoption of the Metonic cycle to Hillel II in the fourth century, while others think that it might have been adopted as late as the ninth century. However, it is possible that the Hebrews used the Metonic cycle even earlier. When did the year begin in the Old Testament? There are indications that the calendar originally followed in the Old Testament placed New Year near the time of the autumnal equinox ( Exodus 23:16; 34:22 ). Even today, the Jewish New Year, Rosh Hashanah, is a new moon close to the autumnal equinox. This begins the civil year. However, at the first Passover, God instituted a ceremonial calendar with its first month near the vernal equinox ( Exodus 12:2; 23:15 ), six months prior to Rosh Hashanah. The Passover is explicitly stated to be in the month of Aviv (אָבִיב). There are only three other Hebrew names of the months mentioned in the Old Testament: Ziv (זִו, the second month; 1 Kings 6:1, 37 ), Ethanim (אֵתָנִים, the seventh month; 1 Kings 8:2 ), and Bul (בּוּל, the eighth month; 1 Kings 6:38 ). The Hebrews eventually abandoned their Hebrew names of the months for Babylonian names, probably during the Babylonian captivity. These are the names used today in the Hebrew calendar, but the only scriptural reference to any of those names is Esther 3:7 , where the Babylonian name Nisan (נִיסָן) is used instead of Aviv. How long have the Hebrews followed this calendar? We do not know. Credit for codifying the current Hebrew calendar usually goes to the twelfth century AD scholar Maimonides (1135–1204). How much did he contribute to this calendar? At the very least, Maimonides instituted the dating of the Hebrew calendar from the creation of the world rather than from the destruction of the Temple, as had been done previously. However, it is unlikely that Maimonides dramatically altered the calendar. The Hebrews had been fastidious about maintaining the integrity of the law and their customs. If Maimonides had changed the Hebrew calendar substantially, say from solar to lunisolar, there would have been much opposition and discussion, because this would have altered the days upon which the various feasts fell. No, this aspect of Hebrew customs strongly argues that Maimonides at most tweaked the calendar that had been in use for some time. Codifying normally means to clearly write out those practices already in existence. How far into the past can we extrapolate the current Hebrew calendar? In the absence of clear evidence that the Hebrews dramatically changed their calendar at some time in the past, it is compelling to extrapolate its use indefinitely into the past. Any dramatic change in the calendar would have greatly altered the very days on which Passover and other feasts were observed. From what we know of the extreme commitment that the Hebrews have had to preservation of tradition, this is almost unthinkable. Is there biblical evidence that the Hebrews observed this sort of calendar much earlier? Yes. Moses instructed that the priests were to offer a special sacrifice at the beginning of each month ( Numbers 28:11–14 ). In many other passages, such as the description of the dedication of the Temple ( 2 Chronicles 2:4 ), it is recorded that these sacrifices were at new moon. While these passages read differently in English translations, there is no difference in the original language. The Hebrew word used in each instance (חֹדֶשׁ, hōdeš means new moon (Koehler, Baumgartner, and Stamm 2001, p. 294). If a lunar or lunisolar calendar were used, the meaning would be synonymous with the first day of the month, because the first of the month and the new moon would coincide. However, this usage does not make sense if a solar calendar were used. Given these considerations, it is very likely that the Hebrews observed a lunar or lunisolar calendar as far back as the time of the Exodus. Of course, this does not guarantee that such a calendar was followed as far back as the Flood, but in the absence of any clear evidence that there was at some point a change in calendars, it is reasonable to infer that this was the kind of calendar used in the account of the Flood in Genesis 6–8. Furthermore, Moses wrote the Pentateuch a millennium after the Flood. Even if the lengths of the month and year had changed at the time of the Flood, use of some alleged pre-Flood calendar would have made no sense to the readers of what Moses wrote. Rather, the readers would have understood the writings of Moses in terms of the calendar that they understood. Hence the Flood account cannot be used in support of an alleged pre-Flood calendar that was fundamentally different from the post-Flood calendar. So, How Long Was The Flood? As previously mentioned, many recent creationists think that the Flood lasted 371 days. To arrive at this conclusion, one must argue that the calendar in use at that time was not a lunar one, but rather had twelve 30-day months, which yields a 360-day year. What is the evidence for this view? As far as I can tell, the only biblical evidence for twelve 30-day months seems to be Genesis 8:3–4 . Genesis 8:3 states that the waters were abated after 150 days, echoing the mention of the water prevailing for 150 days in Genesis 7:24 . Immediately following verse 3 is the statement of Genesis 8:4 that the Ark rested on the mountains of Ararat on the seventeenth day of the second month. Since Genesis 7:11 reveals that the Flood commenced on the seventeenth day of the second month, the grounding of the Ark occurred exactly five months to the day after the Flood began. Assuming that the events of Genesis 8:3 and Genesis 8:4 refer to the same events or at least are simultaneous, then 150 days must equal five months, so each of the months must have been 30 days. However, as Faulkner (2012) has previously pointed out, there are at least two other ways to understand these two verses. First, the events of Genesis 8:3 and Genesis 8:4 may not be one and the same, and hence we ought not to equate their time elements. Second, even with the assumption that the events of Genesis 8:3 and Genesis 8:4 are simultaneous, the 150 days of Genesis 7:24 and 8:3 may be an approximate number. The very well-respected Hebrew scholar Cassuto (1964, pp. 43–44) makes just this case, noting that five lunar months amounts to 147 days, which easily rounds to 150 days. Another possibility not mentioned by Faulkner (2012) is that the weather conditions during the earliest part of the Flood probably would not have permitted direct observation of the moon, and hence there was no way for Noah directly to observe the moon and thus he was reduced to counting days. Another difficulty with this passage as an argument for 30-day months concerns the ancient Hebrew method of reckoning days. Normally, a portion of a day was counted as an entire day. This is the method used to argue for a 371-day Flood duration. In our modern way of reckoning time, the seventeenth day of one month to the twenty-seventh day of the corresponding month the following year would amount to one year and ten days. However, the ancient Hebrews would have counted it as one year and 11 days. Hence, the calculation of 360 days + 11 days = 371 days, but in our modern way of looking at it, we would reason 360 days + 10 days = 370 days.4 Given the manner in which ancient Hebrews reckoned time, if the events of Genesis 8:3 and 8:4 were to be equated, the time interval involved would have been 151 days, not 150. Some might argue that 30-day periods mentioned in the Old Testament indicate that the ancient Hebrews observed months that were 30 days in length. For instance, when Aaron and Moses died, the Israelites mourned 30 days for them ( Numbers 20:29 and Deuteronomy 34:8 ). Also, pagan kings evidently had some official protocols connected to a 30-day period (e.g., Esther 4:11 and Daniel 6:7, 12). However, there is no mention of a month in such passages, so to assume that this amounts to a definition of the month and then to conclude that all the months of the year were 30 days is reading into the text an interpretation that is not justified. The true length of the month rounds to 30 days, so the use of 30 days in such passages suggests a period of approximately one month, but it implies no more than that. By way of analogy, if 1000 years from now some researcher found ancient records showing that in America in the twentieth century the U.S. Flag Code called for flags to fly at half-staff during a 30-day mourning period when a current or former President died, that would not be evidence that twentieth century Americans used a calendar with twelve 30-day months. Furthermore, as Faulkner (2012) pointed out in his paper, laws, contracts, and other legally binding documents frequently include 30-day intervals or multiples of 30-day intervals. These periods approximate the length of the months on our calendar, so obviously they are meant to roughly translate into months, but this use hardly requires that the months in the Gregorian calendar are all 30 days long. In similar manner, Old Testament passages that mention 30-day periods do not prove that the months on the ancient Hebrew calendar were all 30 days long. Nor is there biblical or extra-biblical evidence for a 360-day year.5 Calendars with 30-day months were rare among ancient cultures. One exception is the ancient Egyptian calendar, but it postdates the Flood. Even with a calendar similar to the ancient Egyptian one with 30-day months, that calendar added five days at the end of the year to produce a 365-day year, so the Flood’s duration would then have been 375 or 376 days, not 371 days. In days, how long was the Flood? Genesis 7:11 and Genesis 8:14 give the exact dates of the beginning and end of the Flood, revealing an elapsed time of 12 months and 10 or 11 days, depending upon how one might count the first and last days. To give an exact duration in days requires knowledge of what calendar was in use at the time. Since we do not know what kind of calendar was in use at the time of the Flood, what are the possibilities? If, as many recent creationists believe, the calendar consisted of twelve 30-day months, there were 360 days in a year. This would result in a Flood that was 370 or 371 days long. What if the calendar had a year that was 365 days long, as at least one ancient Egyptian calendar and our calendar today has? This would result in a Flood lasting 375 or 376 days. What if Noah used a lunar or lunisolar calendar? After all, this is the only Hebrew calendar that we know about, and there is a strong argument that this calendar has been used at least since the Exodus. The Hebrews must have used some calendar prior to this, and there is no biblical evidence that God instituted the calendar then, but rather that he gave new meaning to the calendar that they then knew. Twelve months on a lunar calendar normally is 354 days (but occasionally is 355 days). Assuming that no intercalary month was used that year, the Flood was 364 or 365 days. Besides other arguments presented here, the equivalence of possibility 3 with the exact length of the year is striking, suggesting that possibility 3 was the true duration of the Flood. Cassuto (1964, p. 44) supports this conclusion, as did Kevan (1953, p. 85). Cassuto (1964, pp. 113–114) further pointed out that this nicely explains why the LXX differs from the Masoretic text in Genesis 7:11 and Genesis 8:14, where the LXX gives the dates of the twenty-seventh of the second and seventh months rather than the seventeenth. Jews living in Egypt at the time of the translation of the LXX likely were accustomed to the 365-day year that the Egyptians employed, and this change in the text reflected their understanding of the Hebrew culture that exactly one year was the Flood’s duration. Indeed, the case for the Flood lasting exactly one year is good. What difference does it make how long the Flood was? Ultimately, it matters relatively little. However, from time to time we are asked about the Flood’s duration, and it behooves us to offer the best answer. Replying that “I think from the Bible that the Flood was x days long” is a good response. The use of the phrase “I think” indicates that one is offering an opinion. The use of “from the Bible” clearly announces that one is offering his opinion based upon scriptural authority. 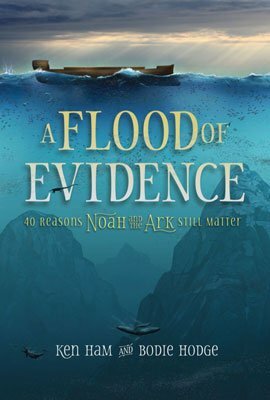 However, to dogmatically state that “The Flood was x days long” elevates one’s opinion, and it ignores the fact that others with an equal commitment to the authority of Scripture have reached different conclusions on how long the Flood lasted based on their study of the relevant Scriptures. To avoid inserting one’s opinion, some answer that the Flood lasted a little more than a year, but this is problematic in that if the Flood lasted 365 days, its duration certainly is not greater than a year, at least to people who are accustomed to the Gregorian calendar. Probably the best answer that avoids many of the details that I have discussed here is to reply that the Flood lasted about a year. This covers all possibilities. Anderson, L. E. 2014. Waves of opinion: The chronology of the Flood in literature past and present. In Grappling with the chronology of the Genesis Flood, ed. S. W. Boyd and A. A. Snelling, 189–230. Green Forest, Arkansas: Master Books. Barrick, W. D. and R. Sigler. 2003. Hebrew and geologic analyses of the chronology and parallelism of the Flood: Implications for interpretation of the geologic record. In Proceedings of the fifth International Conference on Creationism, ed. R. L. Ivey, 397–408. Pittsburgh, Pennsylvania: Creation Science Fellowship. Boyd, S. W., and A. A. Snelling. 2014. Destination specified and challenges identified: Research objectives and obstacles. In Grappling with the chronology of the Genesis Flood, ed. S. W. Boyd and A. A. Snelling, 3–12. Green Forest, Arkansas: Master Books. Boyd, S. W., T. L Stroup, D. G. Longacre, K. M. Akagi, and L. A. Anderson. 2014. Adjusting our heading: Delineating the new approach. In Grappling with the chronology of the Genesis Flood, ed. S. W. Boyd and A. A. Snelling, 43–73. Green Forest, Arkansas: Master Books. Cassuto, U. 1964. A commentary on the book of Genesis part II: From Noah to Abraham. Trans. I. Abrahams. Jerusalem, Israel: The Magnes Press. Faulkner, D. R. 2012. Was the year once 360 days long? Creation Research Society Quarterly 49, no. 2:100–108. Kevan, E. F. 1953. Genesis. In The New Bible Commentary, ed. F. Davidson. Chicago, Illinois: Inter-Varsity Press. Koehler, L., W. Baumgartner, and J. J. Stamm. 2001. The Hebrew and Aramaic lexicon of the Old Testament. Vol. 1. Trans. and ed. M. E. J. Richardson. Leiden, Netherlands: Brill. Longacre, D. G. 2014. Charting the textual waters: Textual issues in the chronology of the Genesis Flood narrative. In Grappling with the chronology of the Genesis Flood, ed. S. W. Boyd and A. A. Snelling, 231–296. Green Forest, Arkansas: Master Books. Whitcomb, J. C., and H. M. Morris. 1961. The Genesis Flood: The biblical record and its scientific implications. Grand Rapids, Michigan: Baker Book House. Previous Paper Radioisotope Dating of Meteorites: IV. The Primitive and Other Achondrites Next Paper Is the “Sons of God” Passage in Genesis 6 Adapted Pagan Mythology? The synodic period of the moon, or synodic month, is the orbital period of the moon with respect to the sun. Since lunar phases depend upon the relative positions of the sun, moon, and earth, the synodic month is the period over which the moon’s phases repeat. Although Boyd does not offer a definite conclusion, he posits that in light of Moses’ background and audience, it is unlikely that Moses would have used a Noahic calendar, as he would thus have been “orienting his audience to the Flood with a calendar inaccessible or unknown to them.” It is more likely therefore that “Moses employed a calendar known to his readers, an independent calendar from his day” (Boyd et al. 2014, p. 53). Heliacal means “with the sun.” Hence, heliacal rising refers to a star rising shortly before the sun. Prior to the date of a star’s heliacal rising, it is not visible. Bodie Hodge has made this distinction https://answersingenesis.org/bible-timeline/biblical-overview-of-the-flood-timeline/, while producing a table very similar to the one used in The Genesis Flood. Calculations based upon Daniel 9:24–27 , as well as direct references in Revelation 11:3 and 12:6 have been taken as implying the use of a 360-day schematic calendar. However, it is exegetically unwarranted to read whatever calendrical information is present in these passages back into the Genesis Flood narrative. To make the true sense of the Genesis text dependent upon later revelation is to obscure its meaning for the original reader. These figures come from summing an intercalary month of either 29 or 30 days to the length of 12 lunar months, which is 354 or 355 days, depending upon whether one of those 12 months would have included an extra day. ISSN: 1937-9056 Copyright © 2015 Answers in Genesis, Inc. All content is owned by Answers in Genesis (“AiG”) unless otherwise indicated. AiG consents to unlimited copying and distribution of print copies of Answers Research Journal articles for non-commercial, non-sale purposes only, provided the following conditions are met: the author of the article is clearly identified; Answers in Genesis is acknowledged as the copyright owner; Answers Research Journal and its website, www.answersresearchjournal.org, are acknowledged as the publication source; and the integrity of the work is not compromised in any way. 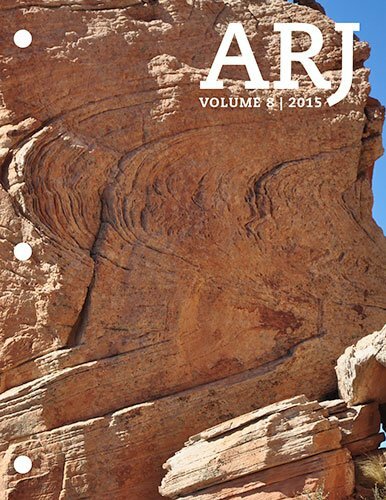 For website and other electronic distribution and publication, AiG consents to republication of article abstracts with direct links to the full papers on the ARJ website. All rights reserved. For more information write to: Answers in Genesis, PO Box 510, Hebron, KY 41048, Attn: Editor, Answers Research Journal. The views expressed are those of the writer(s) and not necessarily those of the Answers Research Journal Editor or of Answers in Genesis.